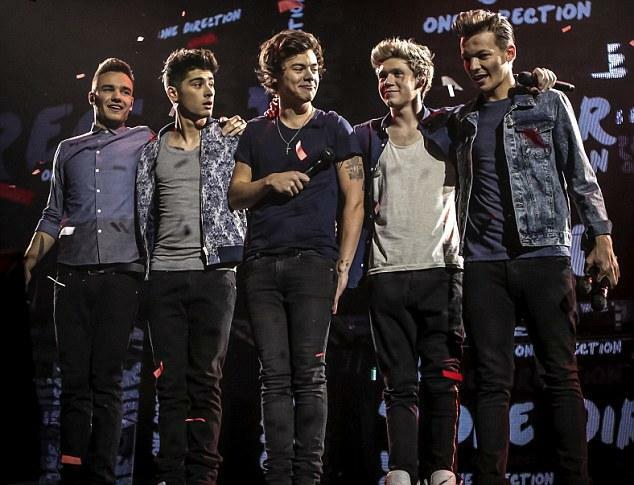 One Direction have announced plans for their first ever full arena tour. The boyband will play 15 dates across the UK and Ireland next spring in support of their debut album Up All Night. The string of shows will start at London’s O2 Arena on February 22, 2013 and will conclude at Newcastle’s Metro Radio Arena on March 24, 2013. One Direction announced the tour following Liam Payne‘s revelation that they were booked for the gigs during their Brit Award acceptance speech last night (February 21). The pop group won the public-voted ‘British Single’ award for their debut track ‘What Makes You Beautiful’. Tickets for One Direction’s 2013 arena tour go on sale from 9am on February 25. One Direction recently teased that they are planning on taking a different route for their second album and will include “more guitars and be grungier”.